You’re Invited! 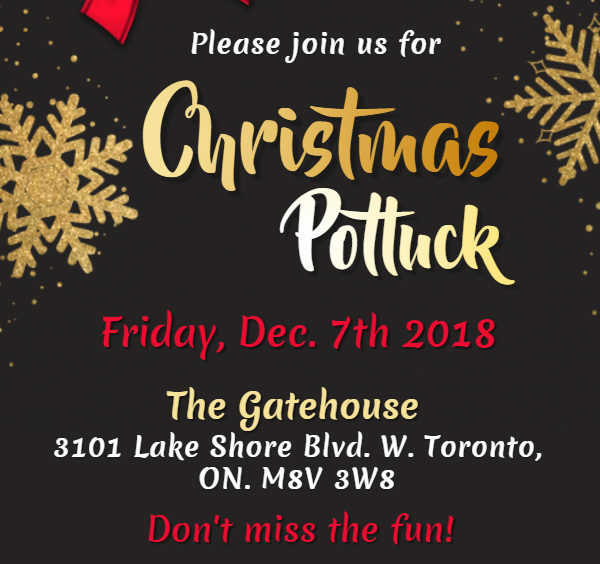 Our Annual Christmas Potluck Celebration is Friday, December 7th, 2018 from 6:30 PM until 10 PM at The Gatehouse. There is free parking on Lakeshore after 6 pm.